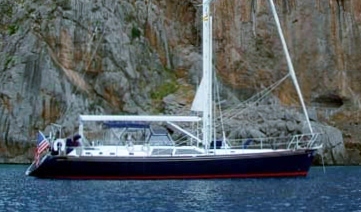 New listing for sale - HEARTSONG III 54 Hylas 1998. For anyone considering purchase of a pre-owned or new Hylas 54 or other high quality 50+ contemporary bluewater cruising yacht, the German Frers designed Heartsong III should be inspected. She is a proven world cruiser and ready to move aboard and start a new adventure. This Hylas has exceptional build quality and offers unmatched value. Her interior and exterior are in excellent condition and there are many upgrades, custom features and a very impressive optional equipment inventory. The owner’s meticulous attention to detail and comprehensive maintenance routine make her a very attractive alternative to building a new yacht. Her design and construction excellence, many custom improvements and equipment selections position her at the top of semi-custom offshore cruising class.